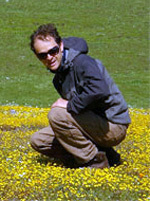 Jae Pasari, who earned his Ph.D. in environmental studies at UCSC, is the paper's lead author. Over the years ecologists have shown how biological diversity benefits the health of small, natural communities. New analysis by ecologists at UC Santa Cruz demonstrates that even higher levels of biological diversity are necessary to maintain ecosystem health in larger landscapes over long periods of time. Think of it as patches on a quilt, says Erika Zavaleta, UCSC associate professor of environmental studies. Each patch may be a diverse habitat of plants, animals, and insects but it is equally important that the landscape “quilt” is made up of a diversity of patches that are different from each other. "A mix of meadows, young forest, old forest and shrub lands, for example, might provide more benefits than a landscape of continuous young forest, even if that young forest itself has high biodiversity," Zavaleta said. Zavaleta and two ecologists who recently received Ph.D.s from UCSC illustrate the importance of landscape diversity in their article "Several scales of bioversity affect ecosystem multifunctionality" published this week in PNAS, Proceedings of the National Academy of Sciences. Tilman – also a co-author – created 168 plots nine meters square and planted them with randomized combinations of perennial grassland species. He was interested in how the plots would fare depending on the combination of species included. Pasari, Levi, and Zavaleta took Tilman's data gathered since 1997 to create 7,512 experimental computerized landscapes. The computer simulations are grounded on very real data, Zavaleta said. "We used the simulation models to create imaginary landscapes with many kinds of habitats," she said. The team was able to test combinations of "patches" in order to determine the overall potential health of the "quilt." The authors write: "In addition to conserving important species, maintaining ecosystem multifunctionality will require diverse landscape mosaics of diverse communities." "What's new here," Zavaleta says, "is reminding us that it's not just important to protect a diversity of species but also important to protect the mosaic of habitat patches in a landscape." Conservation often emphasizes restoring land that has been mined, logged, or tilled, she said. Equally important is to recognize the role that restored landscape plays in a larger biotic community. 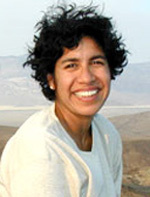 Pasari now teaches at Berkeley City College and at Pacific Collegiate School in Santa Cruz. Levi received his Ph.D. last year and is a wildlife ecologist at the Cary Institute of Ecosystems Studies in New York. Both were supported in their research with National Science Foundation Graduate Research Fellowships.